A clean mesh with good topology is an essential part high-quality models. Not only is clean topology easier to work with, a good mesh is easier to rig, animation deformation is improved, the texturing process is made simpler - and most of all, it provides an optimized mesh that increases performance across the board. When using sculpting to create highly detailed models the retopology process is also an unavoidable one. But it’s no secret that most artists don’t enjoy retopology. Let’s face it: retopology can be tedious and a frustrating process. While great modeling tools, Blender’s native toolset isn't designed for retopology; it was created with free-form polygonal modeling in mind. This leads to a slow retopology workflow with lots of pitfalls, primarily due to a lack of universal surface-snapping. Blenders shrinkwrap and face snapping tools only get you so far. If you’re no fan of retopology but want to create clean and professional models, meet RetopoFlow. This retopology suite for Blender helps you create clean topology in minutes versus hours, and no more painful and slow process. Instead, focus where it counts: your mesh flow and final topology. RetopoFlow will help you create smooth, efficient, and effective models for AAA quality versions of your detailed sculpts. RetopoFlow does for retopology what sculpting did for modeling. This retopology suite turns a difficult and technical process into a smooth, artistic flow so you can create professional models in less time than ever. No more manual creating retopology. RetopoFlow lets you to draw geometry onto the surface of your high-res model. I can say with confidence that on a character model, RetopoFlow will save you hours and hours of work. RetopoFlow 2 provides a powerful set of unified tools that all work side-by-side within a new retopology mode, creating a seamless workflow. The Contours tool gives you a quick and easy way to retopologize cylindrical forms. For example, it’s ideal for organic forms, such as arms, legs, tentacles, tails, horns, etc. The tool works by drawing strokes perpendicular to the form to define the contour of the shape. Immediately upon drawing the first stroke, a preview mesh is generated, showing you exactly what you’ll get. You can draw as many strokes as you like, in any order, from any direction. The PolyPen provides everything you need for fast retopology in those scenarios where you need absolute control of every vertex position (e.g. low poly game models). This tool lets you insert vertices, extrude edges, fill faces, and transform the subsequent geometry all within one tool and in just a few clicks. The Polystrips tool provides quick and easy ways to create the key face loops needed to retopologize a complex model. 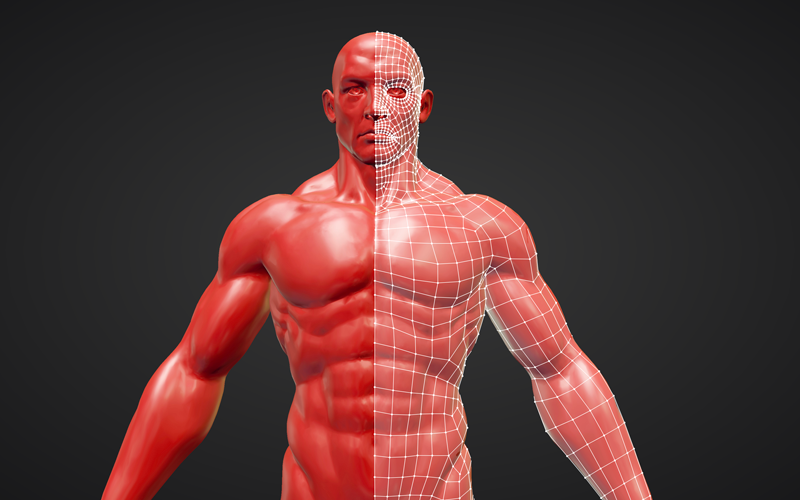 For example, if you need to retopologize a human face, creatures, or any other complex organic; hard-surface object. Polystrips works by hand drawing strokes on to the high-resolution object. The strokes are instantly converted into spline-based strips of polygons, which can be used to quickly map out the key topology flow. Clean mesh previews are generated on the fly, showing you the exact mesh that’ll be created. Extrude selections with fast strokes and quickly fill areas with quads from a single stroke. New in 2.0: brand new tool! Use Patches to grid-fill large areas with selection-based filling, complete with pre-visualization, making tweaks fast and easy. New in 2.0: Patches is now a dedicated tool with more control, yet simpler workflows. Use the Loops tool to slide edges and insert new edge loops into existing face loops. All new loops are automatically snapped to the surface. The Tweak and Relax tools provide a brush-based system for quickly repositioning geometry and smoothing meshes with a fast, sculpting-like workflow. RetopoFlow provides universal surface snapping, meaning that everything you do automatically snaps the new or selected geometry to the surface of your high-resolution source object(s). Add a new strip of polygons with Polystrips? Snapped to the surface. Create circular rings of edges around an arm with Contours? The mesh is instantly conformed to the surface. No Shrinkwrap or Face snapping needed! How is v2 different from v1? Beautiful Viewport-based UI, keeping your tools right at hand while enabling full-screen workspaces. Full XYZ symmetry support with mesh visualization. View Options and Mesh Visibility settings for adjusting mesh display for good visibility, no matter the project. Built-in General and Tool Help, just a keypress away with F1 and F2. 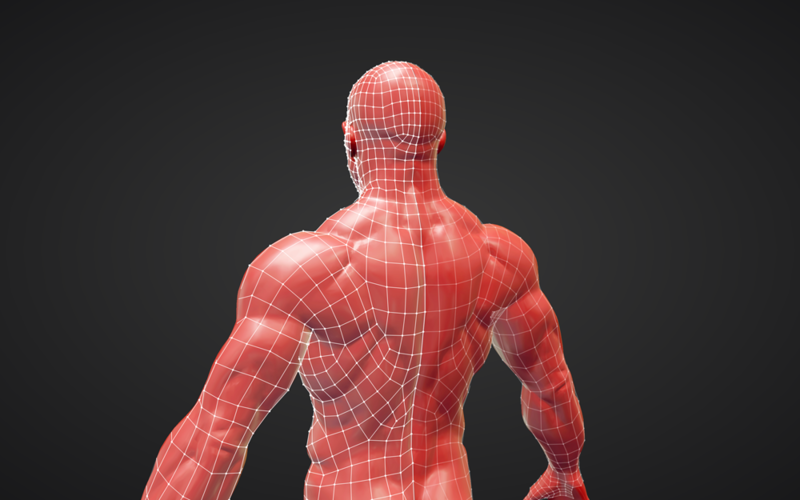 Retopoflow 2.0 is a great update to the Retopoflow addon. It is in fact so packed with features that it can be compared with some standalone retopology applications. The friendly interface and quick help makes it easy and fun to create manual retopology. Fantastic job by the amazing developers over at CG Cookie! By default, the options for unselected tools are hidden (can disable Options > General > Tool Options > Auto Hide Options). Internationalization no longer breaks navigation! RetopoFlow now has full support for languages other than English. Complete rewrite from the ground up with unified tools and many new features! Source and Target object transforms no longer break tool workflow, enabling you to retopologized rotated and scaled objects finally. Fixed a nasty bug that caused a fatal crash during Polypen if you zoomed the camera inside the source object. Introduce the Add-on Updater! New versions beyond 1.3.0 will now be installable right from within Blender. Tweaked color saturation for Polypen meshes, improving disability. Fixed error in unregister function; used when the add-on is disabled. Tweak Tool Relax Mode: hold SHIFT while tweaking to relax vertices. Attempts to make faces square. Fix for source/target objects being deleted and causing Blender to crash on next operator start. 10-100x speed boost in most cases! The speed change is night and day difference. Tweak Tool: easily tweak your new retopologized mesh with a brush tool, no selection needed, greatly improving workflow speed. Loop Slide Tool: slide edge loops along the surface of your source object, greatly improving workflow for snapping geometry from any angle. No Shrink-wrap needed. Added Source and Target object functionality: retopology is no longer dependent on selection, making workflow more flexible and easier. Polystrips Symmetry Visualization: symmetry can now be visualized and toggled with Shift + X in Polystrips. New custom icons for all tools! Fixed many, many misc bugs as part of the refactor. Documentation is coming soon. For now refer to the built-in tool documentation, accessible via the toolbar or F1 and F2 while RetopoFlow is active. How do I update RetopoFlow to new versions? RetopoFlow uses the Add-on Updater module to allow updating from right within Blender! If you have version 1.3.0+ installed then simply go to the User Preferences > Add-ons > RetopoFlow and click Check now for RetopoFlow update, then Update Now. Alternatively you can update by first removing previous versions of RetopoFlow and then installing the new version via User Preferences > Add-ons > Install from File. From the file window then choose the downloaded .zip to install. If I own a copy v1.x do I get 2.0 for free? You sure do! v2.0 is a free upgrade for all prior 1.x customers. Will RetopoFlow work in Blender 2.8? We will add 2.8 support just soon as the API is finished and ready for add-on development. Does RetopoFlow work on Mac OS? Yes! RetopoFlow works on any system which Blender supports, including Mac OS, Linux, and Windows. This item has an average rating of 4 from 60 ratings by the community. Hi. I initially sent a support request about it but didn't get an answer (I think). But I found out it was just a small part of the program (contours). I tried other programs for retopology but nothing felt as nice to use as this. So thanks for making this guys! The only problem I have is most of the time when I try to use the contour tool, the third time I use it in a row it crashes blender. So my advice is if you're using it, save before you use contours. I have zbrush, topogun, 3D Coat, 3DS Max and Blender. All have decent retopo tools, although some are better than others. I bough Retopoflow yesterday and already I like it best out of the lot. It's smoother, more intuitive and more forgiving than anything else I've used, and unlike ZBrush's topology brush I get consistent results every time. I am using it to retopo an Alien xenomorph, which has lots of protrusions and bridges and is generally pretty challenging but Retopoflow is helping me make light work of it. Money well spent. Very nice tool i like it so far. I am very new to retopology and after i watched some demos from CG cookie youtube channel i could retopologize a simple pair of pants i sculpt in zbrush. I would like see an option for partial symmetry. I mean at some points i wanted to use symmetry on a mesh and then turn it off without loosing the other half so i can proceed manually to the rest mesh. If its already a thing and i didnt noticed my bad. I still explore the tool. Excelent, the new version it's working greath, brutal, amazing, i can say, the best topology tool in 3d world. Works like a charm within homely felt Blender. Extremely simple to use. I'm glad to hear you like it Kirill! It was hard to get use to the keybinds at first, but now that I've been using it for a month I can practically retopo anything in a few hours. Amazing tool, keep up the good work! We absolutely aim to improve the keybinding system, eventually allowing full customization and integration with Blender's regular keymap system. Thanks for the rating! When I bought this add on last year it was quite buggy and it crashed a lot, but I pushed through it since I was making 2 characters, it wasn't a huge issue, and it was the only thing I could use for retopology. But the developers did say at the time a 2.0 version was coming for christmas 2018 so I waited and did other tasks on our game. Christmas arrived, but 2.0 wasn't released so I reorganised our schedule to do environment art and level design instead. It wasn't until around July that 2.0 was released, but it ended up be quite frustrating to use. About 3 weeks ago I left feedback about the issues I had and waited for a solution https://github.com/CGCookie/retopoflow/issues/643 . Nothing came about, and I couldn't afford to waste more time using Retopoflow, so I had to buy Topogun, (I wasted money buying Retopoflow) which didn't have any problems at all and I was able to finish all of character models without a single crash or bug. If anyone is unsure about Retopoflow, buy Topogun instead, it's 14 dollars more, but it's a lot more stable and the functionality is a lot smoother. I'm sorry to hear you had a bad experience and our apologies for the delay on your reported issue. That delay is on us and we'll do what we can to make it right. cant change viewpoint. Its very stressful! My score is two stars, for the effort and insight necessary of people who offered their time, knowledge and suffering to get to create something like retopoflow.I admit it, but I am not a satisfied consumer with the support offered. I got two answers that had nothing to do with my problem, send a video. I explained that when activating RETOPOFLOW by pressing scroll to move in the 3D view nothing happened, ... I did not get an answer, after having gone through many states between them ... the helplessness and the maximum frustration when trying everything and not working , I left my project for a week to solve something technical and not having lost $ 86 ... in the end I found the answer (IF RETOPOFLOW V2 IS IN ANOTHER LANGUAGE OTHER THAN THE ENGLISH WILL APPEAR THIS PROBLEM AND YOU WILL NOT BE ABLE TO WORK WITH IT, IT WILL WORK PUTING IT IN ENGLISH FROM THE PREFERENCES OF THE SYSTEM) people who do not have blender in English will find the problem, (PLEASE SOLVE IT BUT ABOVE EVERYTHING IT IS SUPPOSED TO BE YOUR DUTY NOT THE CONSUMER'S). Thank you. We're sorry to hear RetopoFlow hasn't been working for you. An issue has been logged to try and solve the language problem; it's a tricky problem but we're hoping to find a solution. Regardless I have submitted a full refund for your trouble. Thanks for the rating Giovanny! There is an option to Snap Verts to the surface under Target Cleaning, which will let you snap all verts or only the selected verts to the surface. This helps to resolve selection issues that stem from the vertices being below the source surface. Needless to say, 5 stars, and extremely stable in version 2.0! Great tool that speed up my work, but i have to exit the tool to merge two vertices. Would be great if merge was integrated to RetopoFlow. Thanks for the rating Syed! You can merge vertices with the PolyPen tool by dragging one onto the other. There's an option to disable Auto-Merge in the tool settings, but it's on by default. Version 2.0 is way too slow for professional production work. I have an sculpted mesh of 2500000 polys and a retopo i made without tools of 210000 polya and retopoflow consider too high the polygon cont for both meshes. In version 1.3 i can work freely without problems. Hey Miguel, please reach out to us via your Inbox so that we can look into your performance problems. RetopoFlow ought to be able to handle that poly count without issue, so long as your machine has adequate specs. Please send us a message with your file and we'll try and resolve it for you! Retopoflow is one of the best addons that I have ever used at Blender. It's bring so much to the software, simple functions that I never have seeing in any other open source software. Before ir I uses to use the 3D Coat to make retopologys, but now it's all in Blender and working pretty well. For the first time, my topologys at Blender looks like profissional and are saving so much time. If you are a active 3D sculpt artist, you need this tool! 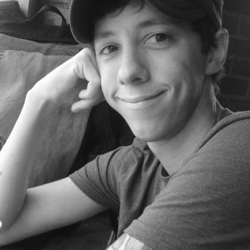 I am an indie game developer (with some 10+ years of AAA experience). I use Blender for nearly all my 3D work (modelling, animation). I love sculpting, but retopology was always a daunting task. Sometimes I even preferred to create low poly models right away and just add some details in Substance Painter to save some time. RetopoFlow 2.0 changed that. I can create a full character outfit (model it with Marvelous Designer and Blender) and retopo it in just a few days. And the retopology process is a smooth and pleasant experience :). I actually started to like it a lot - it's a lot more like sculpting now. I even used RetopoFlow 2.0 for... level design in one of my games. Since polystrips have this nice, even distribution of quads on a target mesh, I was able to use them as spawners for objects like fences (using dupli faces). I also use RetopoFlow to draw some detail objects on my sculpts (I use strokes and then convert them to a curve). It's simply awesome! Really great add on! Definitely one of the reasons I use blender more and more in my pipeline. It'd be great if the polypen tool could create 1 click quads, topogun style - instead of creating a tri first and having to connect it every time it'd connect to the nearest vertex. Or it'd be great to at least have the option for it. Other than that it's one of the best retopo solutions out there, definitely worth it! retopoflow 2 is a HUGE improvement to version 1. I was disappointed and frustrated with version 1.x. It crashed, didn’t work properly in non-trivial examples and most of the time I stopped using it all together because I got too frustrated with it. Version 2 does have some minor bugs and I think some usability aspects could still be improved, but in general it makes life much, much easier. I really like the way it is designed. It seems highly polished and thought through. And the best is, it simply works! The decision to rewrite the entire core was worth it. One thing I really like about the developers is, that they are open for feedback and you can simply email them and ask or report issues and bugs. I have always got an immediate response. Retopoflow 2 is finally the product I hoped the 1. Version to be. I highly recommend everybody who does retopology from time to time and to everybody who was frustrated with version 1. Give it a new try. It’s worth it. I got this add on when v1.00 first came out. After tying it for a few hours I found it to be too clunky and buggy for any piratical use. While I appreciated what the developers where trying to do, I shelved it and just used Blenders in house tools. Fast forward to now at v2.00 (Though I honestly feel that this is the real v1.00). The clunkynes is gone and while there are still some bugs here and there, it's nowhere near the level that was during the initial release. While it may not replace all of Blenders in house tools, I can now exit, do my edits, then continue on in polystrips (without it crashing or bugging out on me). I'm glad the developers chose to polish this up, because it brings some much needed functionality to the re-topology workflow. An awesome tool. Just that. This tool saves me so much time making animation with scanned faces. Total retop control. Retopoflow 2.0 has everything I wanted the previous versions have and it's much better now, working seamless between modes is really great. Before I used to use Retopoflow only for some parts, now I do the retopology of the entire model, even ears, hands and small parts. This is a very important tool in my workflow, it turns the retopology process into a very pleasant and relaxing process. A big thanks to you guys, for making this awesome tool available! That means a lot coming from you Lucas. Thank you so much for the encouraging support! We could not agree more on this being what it was always intended to be. Thanks for the rating D.! Version 2.0 is now available so give it a shot! Hello I am a game developer from China. Like the concept of Retopoflow's functionality. Your work is admirable. Ask a question for help. The blender plug-in manager cannot update the 2.0.0.1 version. This may be related to our Internet policy. By the way, I would like to ask when the official version 2.0 can be released? I look forward to thanking you again for the great work! Performance is ok, not as responsive as the same mesh would be in native blender modes, but I have been retopologizing lots of detailed stuff on my old laptop and it is doable up to a point. It definitively has a learning curve. Some procedures feel a little different to the usual blender approach. Patch tool is great. Ok so i finally find the way to contact developers...I'd like to point out that i was so overwhelmed by the idea of retopoflow that i made a quick purchase. However, my updated 2.0.0 version never actually worked! Errors that im getting are eather my mesh is too high res (this is very odd considering what retopoflow is all about) and my obj file is around 11mb and poly count is around 100000 faces which is not nearly enough that this add on should support. I want to say that also another issue that i have is that my object is too big? i don't get this eather...and the last but not least i can't update it from blender 2.79b downloaded from the website directly. At the end i want to say that i really like the idea of retopoflow and the old version is somewhat working nicely still i mainly got the add on because of a promised 2.0 update and the way it was supposed to be great. So any help from developers would be nice. Hi Nemanja, Please do send us your test model by uploading it to pasteall.org/blend and then sending us a message via the widget on the right side of this page, where it says Create Message. This way we can test your model and determine if it's an issue with RetopoFlow or something specific to that model. Thanks! Thanks for the review monkok; it's great to hear that it's working well for you! I recently transitioned to version 2.0.0 beta and must admit that I am SUPER IMPRESSED by the new interface and how all tools works seamlessly together in just one mouse click. The thought to have merged the "Loop Cut" and "Loop Slide" tool (version 1.3.2) together was a GREAT concept! And to think this is only beta! Can't wait to see what you guys have next in store! This is by FAR the BEST add-on I will ever own! You guys have made Retopo so much FUN! One negative to add (really small, but probably no headache) is that the "Welcome" screen has some grammar errors...but that is just me. Thanks again guys for all the hard work! Thanks Bennie! That's so great to hear and thank you for the rating. I am absolutely stunned by how awesome the new v2.0 is. I really enjoyed the original Contours and the earlier 1.0 track of RetopoFlow, but this has come further than I even hoped it could, and now feels like a completely native Blender application. The tools are woven together extremely professionally, and are intuitive and responsive, with a surprisingly solid performance, even still in beta. I would recommend this to anyone that does even a bit of retopology -- it takes what is easily the most tedious task in 3D modeling and makes it far easier, and honestly even pretty fun. Truly amazing work, you guys. That's so great to hear Gregory! Version 2.0 is going to be a game changer we think. Excellent! Thanks for the rating Matthew! Great plug-in! Waiting for the arrival of 2.0, hope will not be too long. The usefulness of this tool is fantastic. For starters, it's a lot more robust than the previous version, and when it does crash, you don't lose anything and can get right back into the work in seconds. The Relax and Tweak tools are excellent for polishing geometry and can make even hastily-placed quads into professional looking work. The Patches tool is by far my favorite. All of the tools are lovely and the functionality is great. Thank you for making this tool better! Thanks for the review Allen and I'm sorry to hear you've had so many stability issues. Version 1.x is definitely lacking in that department, which has been our number one priority with version 2. Beta for 2.0 is almost here (several months late), so I'll be keen to see what how your experiences improve. Edge Patches was never finished as it proved to be too convoluted to work in a streamlined manner. We have basic edge patching functionality in v2 that we're working on, though. It's' quite basic initially but we'll continue to improve it as we go along. I'm still learning 3D, so this is my first retopo tool. The install, documentation, and videos are nice and simple, which made it easy for me to just start. I really appreciate that there's only a few elegant tools, many more would feel too daunting for a beginner like me (and I'd bet these few tools are deeper than I realize). I'm glad I picked this tool from the others that I was considering. Thanks for the review Deucer! Would be better but the latest version has knocked out my install, and I have for help with no concrete resolution to why its not working. Will give it another review if a fix or 2.0 corrects the issue. Hey Bryan, I don't believe we ever got a support request from you on the install issue? Typically installation problems are due to conflicting files left over from the install. It's always a good practice to restart Blender after updating an add-on, otherwise it'll commonly try and run both versions at the same time and fail. Please send me a support request via your inbox, https://blendermarket.com/inbox and I'll be happy to help you troubleshoot further. Installed the wrong version, seems to be working fine now! Good to hear Amber! We'll remove the previous review so as to be more accurate. Cheers! Is Retopoflow 1.3.2 working on blender 2.79 ? Really smooth workflow. Innovative design with the Bezier curve based polystrips. Reliable snapping to the surface. Looking forward to the 2.0 update. Looks amazing! Thanks for the great rating! 2.0 is being actively worked on, so stay tuned! It's hard to think about ever retopologizing again without this addon. Good stuff! Cheers Gabriel! I'm thrilled you like the tool. This is an essential plugin for blender if you ask me! It would be an essential plugin for every software if it was available for them. Now it might be buggy from what I've heard but I didn't encountered any bugs. But even if there are they are solvable with support of the creators I guess. But anyway, this cuts down the time for repology from hours to minutes! I am not joking, it even totally killed my box modell workflow for characters. Because now retopology is so quick that there is no reason not to sculpt a character. It actually was my fault not to purchase this a year ago and wasting my time making really good box modelled character, even if they rivaled sculpted models in some parts the topology just can't compare. Just buy it, even if it is not on discount, if you are into character design, if you work professionally and want to stay competetive than buy this plugin!. That's very encouraging ezdenias! Thanks for the great review and stay tuned for 2.0! It's coming quite soon. Just purchased this with the Holliday sale. It's a great addon for speeding up your work flow. I do anticipate version 2. I have only seen one glitch with the program that wasn't an obvious fix within about 7 hours of use. I rate five stars because so far it has made (in my opinion) on of the most boring parts of 3D slightly more enjoyable. With that said I would however like to see the polygon pen tool work more intuitively, like quad draw for Maya. It is almost just as much work at the moment as not even using it in the first place. Please add the ability to create faces without having to select verts. Please investigate quad draw. Thank you very much for the time and effort on this product. Looking forward to the future of this! Thanks for the great review! We'll absolutely look into ways of making Polypen more intuitive. Reducing the selection requirement would be a good starting point, as that is easily the slowest aspect. Stay tuned for 2.0 news very soon! Its a great addon, when can we expect more news on the 2.0 update? V2.0 is coming soon but we don't have an exact release date yet. We're finishing up the missing features and polishing it. We'll be emailing all customers a link to download the beta as soon as we can! Stay tuned and thanks for the rating! Great product. Very convenient; can't wait until version 2.0! Thanks for the great rating! Stay tuned. 2.0 won't be much longer. Hi guys, I just bought Retopoflow and while I can work with it, I'm having a bit of trouble with the mesh turning black when I go back into it after my initial setup. Is this the best place for support issues or should I go onto the Cookie website? Hey alanhperry! You can get RetopoFlow support via your inbox at https://blendermarket.com/inbox That will send a message straight to myself and the rest of the RetopoFlow team so that we can help troubleshoot. I love it! The best tool for retopology on the market. And with 2.0 it will be even better :). It has corrupted and ruined too many of my projects within a couple minutes of use. As much as I want to use the tool it shoots me down every time. Very versatile and precise control over geometry. Easily right up there with old the industry giants like 3Dcoat, and with a very reasonable price too. This is a great addon and the support is top notch - I can make a simple observation online and get a response almost immediately...I wish the people that made the software we use at work were so quick to respond :D The tools are continuing to evolve, and that is nice to watch happen, but the strongest part of this addon is the way that the help functions are right there to assist if I forget what I used to know. I'm glad you like it Willy! Hey Jason, thanks for the rating! As for the Tweak tool issue, I believe I know the problem, which we have a fix for in 1.3.1, which is coming any day now. I'll follow up with you via a private message to trouble your specific issue. Pros: Small learning curve makes it easy to learn, and dramatically improves retopology workflow with a good set of tools. Easy to recover work in case of an issue. RetopoFlow is a great add on. If you find retopology super tedious like I do then you'll appreciate what RetopoFlow offers. I did get it on sale during Black Friday, but even with it's flaws, I recommend it, and it is definitely worth the money if you're considering it. I don't know if this is possible with Blender add ons, but if there were a trial it might help people who are unsure decide if the tool works for them. An excellent add on - really takes the pain out of retopo-ing large areas of sculpts. Contours, Polystrips and Polypen work very well together and represent a pretty versatile toolset. Retopo can be a complex subject, and this is a sophisticated add on, so there is a learning curve, but with practice it all makes sense. In the event of any glitches, bugs or plain user error, the product support has been excellent and swift in my experience. Among the more pricey add ons, but well worth it in my opinion. Love the ideas, but it is totally unusable, guys sit on your a.. and fix bugs before you ask for $. dank0, similar to the reply to Gregory above, please be sure you've fully uninstalled any older versions of RetopoFlow before using the new version. If after doing that you're still running into issues then please report them to the bug tracker: https://github.com/CGCookie/retopoflow/issues Reporting bugs is the single best way to help us help you; being the creators we're often too close to the development and aren't able to test all the many, many different ways that people use our tools. By reporting bugs you're not only helping us better understand your workflow, we're also able to more quickly fix the specific issues.